In the 1850s, Irish civil engineer John Lysaght brought corrugated, thin iron sheets to Australia as a tough new building material. Early settlers preferred the material because it was strong, lightweight and stackable. Moreover, the iron did not require painting as it was galvanised and protected with a coating of zinc; however, many people did still opt to paint it for aesthetic reasons. The companies Lithostrip Corporation and Pre Finish Metals invented the bonding technique that Lysaght brought to Australia, which eventually resulted in the Colorbond steel and steel fencing that we see today. In 1966, the product was manufactured for the first time, and thanks to the durability and versatility it provided in building applications, it quickly became an industry favourite. 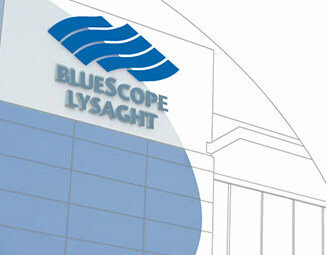 John Lysaght’s company, founded in 1918, now operates as a division of BlueScope. Initially, Colorbond only came in six colours. Today, there are more than 20 inspiring colours available to choose from, with shades falling into the categories of either Classic or Contemporary. Although the standard fencing colour range is limited to fewer colour options (14 colours at the time of writing this post), there is a suitable hue to complement any property or landscape. Colorbond steel is commonly seen as security and privacy fencing in Perth, Bunbury and all throughout Western Australia. It is also used as the roofing material for most modern Australian homes. Other common Colorbond applications include walling, fascia and guttering, cubby houses, water tanks, patios, letterboxes, carports, sheds and many more. It’s everywhere! Because it’s a great fence. Fences produced with Colorbond enhance visual appeal while effectively increasing privacy and security. They also offer low-effort maintenance. Actually, there are many good reasons to choose Colorbond fencing. Thinking about adding Colorbond fencing? Our professional contractors are experts at installing Colorbond steel fences in Perth and Bunbury. Contact Us for a no-obligation quote today!